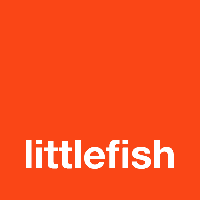 Littlefish are seeking a Service Management Analyst to take overall responsibility of, or act within, any of the service management processes, across ALL organisations in scope of the processes. This may include third party and client-side resolver groups. Driving the delivery, efficiency and effectiveness of all in scope service management processes including, but not limited to, incident management, request management, problem management, change management, service reporting etc. Providing effective tactical and service management related advice, coaching and guidance to Service Desk Engineers, Service Management Office colleagues, Infrastructure Engineers, System Administrators etc. Our focus is to create a supportive, inclusive and collaborative culture in a great working environment, which contributes hugely to the happiness, positivity and general well-being of our people. Our culture fosters a laid back and friendly, yet professional and capable approach. We provide breakout facilities within our office offering the latest in gaming technology, table tennis and lots of space to eat your lunch, socialise or just get away from your desk. We have a casual dress policy to make sure people are as comfortable as possible as they go about their daily tasks, and we provide year-round fruit and refreshments that are freely available to everyone. In addition to the year-round free fruit and refreshments, we have subsidised vending machines, ‘pick & mix’, Pizza Fridays, frequent social evenings, charity events, a mid-summer all-staff family BBQ and, of course, the obligatory Christmas party! We care strongly about the ongoing personal development of our people and created the Littlefish Academy, a structured training and development program that rewards you as you progress. The Academy provides you with the power to increase your salary (outside of any annual pay awards) through technical accreditation, and a focus on continual quality improvement. Our Academy members receive a full license to access CBT Nuggets, the industry leading online IT training resource.